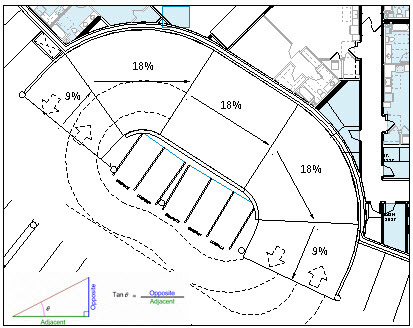 While I’m a HUGE fan of reducing parking requirements for housing and mixed-use projects, there is still a need to design (and model) parking garages. This can be a real challenge to new Revit users, as there IS a ramp tool, and it’s supposed to be automatic, Right? Right. 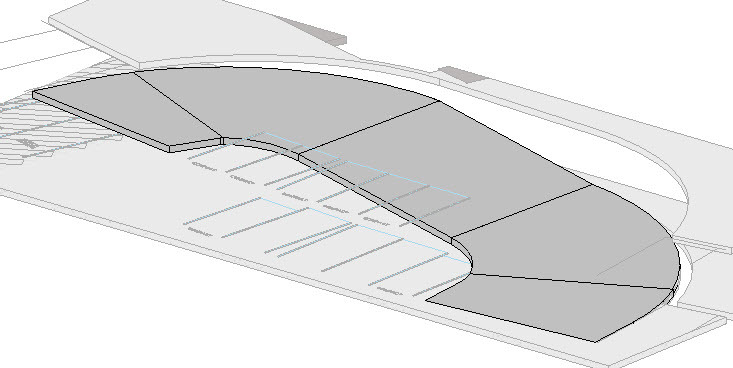 But like many real world situations, the basic ramp tool isn’t much help when it comes to the complex shapes and required slope transitions that constitute parking garage ramps. In fact, I don’t advise using the Ramp tool at all – build them more accurately with Floors! Level edges at connection to garage levels, level cross slope at straight segments. 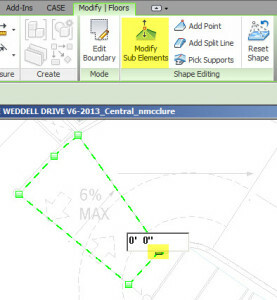 Calculate 9% slope inner corner elevations from either end. So we know we have more drop than is needed, and can reduce the slope %. Reduce slope on curving transitions, when possible. Recalculate the floor corner drop per the adjusted slope angle. That gives us the slope at the inside edge. 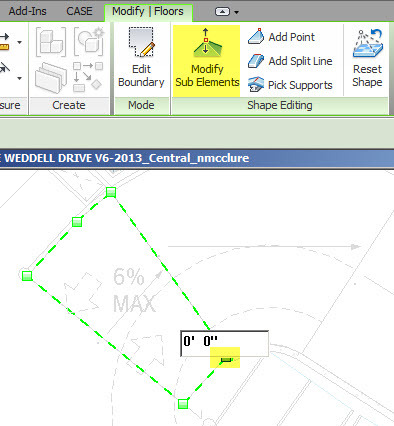 Verify the end elevation, and adjust if necessary. Repeat setting the drop at the outer floor corners: GROUP and COPY TO ASSIGNED LEVELS (where Deck-to-Deck is equal dimension).